In the hustle and bustle of Denver, beer lovers can get a pint with a side of nature. Woods Boss Brewing celebrated its grand opening last weekend in Five Points. The brewery, started by Chad Moore and Jordan Fink, is centered around a forest theme. The name came from a job Fink had as a forest guide in Oregon. A 21-foot piece of redwood stretches in front of the taps, serving as the bar. A matching table sits in the front of the space at 2210 California St. with couches on either side. 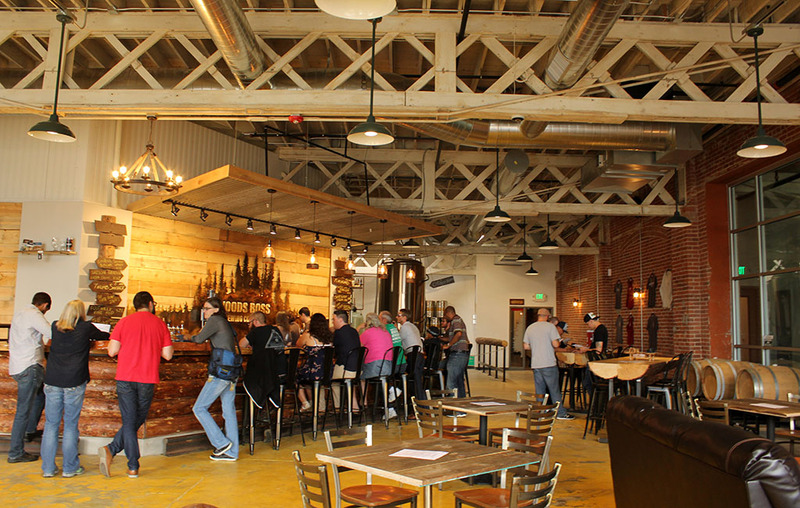 The brewery was running 16 of its 18 taps for opening weekend, which also featured live music and food trucks. Moore and Fink first launched the idea for Woods Boss in separate corners of the world. Moore was traveling South America by car with his wife and dog, pinging business plans by Skype when a signal was available. At the same time, Fink was launching a brewery startup in Nepal. The pair leased the space on California Street last October. A love for travel is not the only thing Fink and Moore have in common. Both say their favorite style of beer is a porter, and the brewery is looking into a porter-themed festival for the community. Fink previously worked at Tommyknocker Brewing and Odyssey Brewing in Arvada. 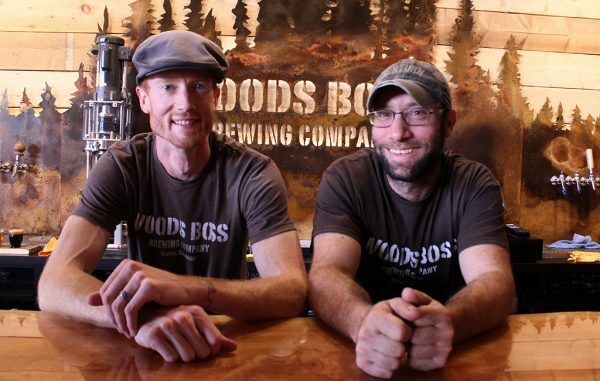 His right-hand brewing man, Ryan Logan, joined Woods Boss from Tommyknocker. Fink said his inspiration for beers can come from anything, but as an avid outdoorsman, one of his favorite sources is a walk in the woods. “You kind of want to capture that and share it with the world somehow,” he said.